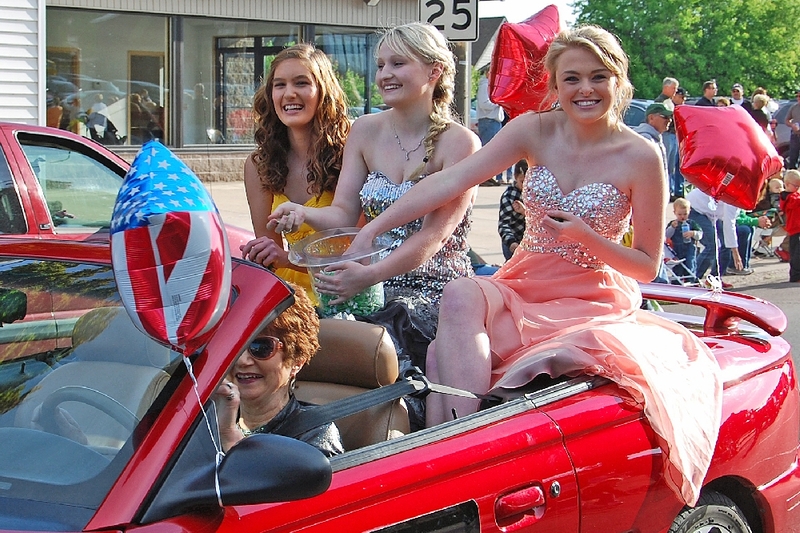 The 27th Annual Bridgefest and Bridgefest Feast was held the second week of June. 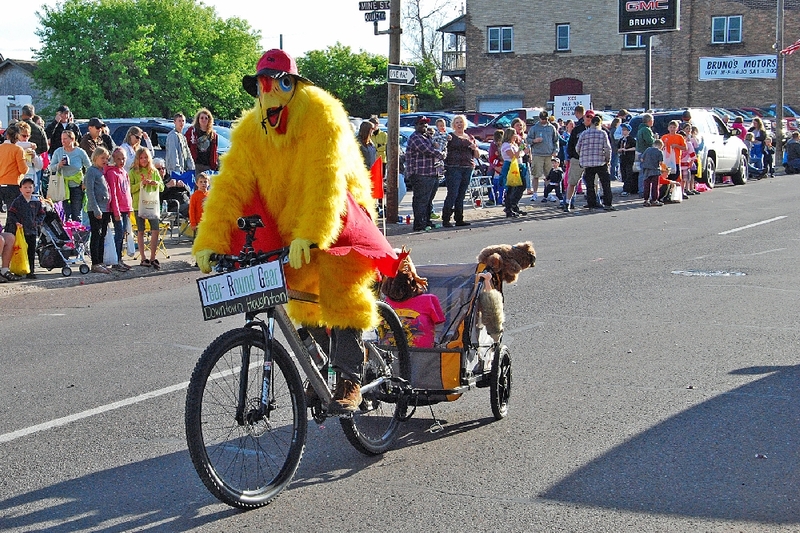 With 3 days of activities on tap, it is the years biggest Celebration for the twin Cities of Hancock and Houghton. 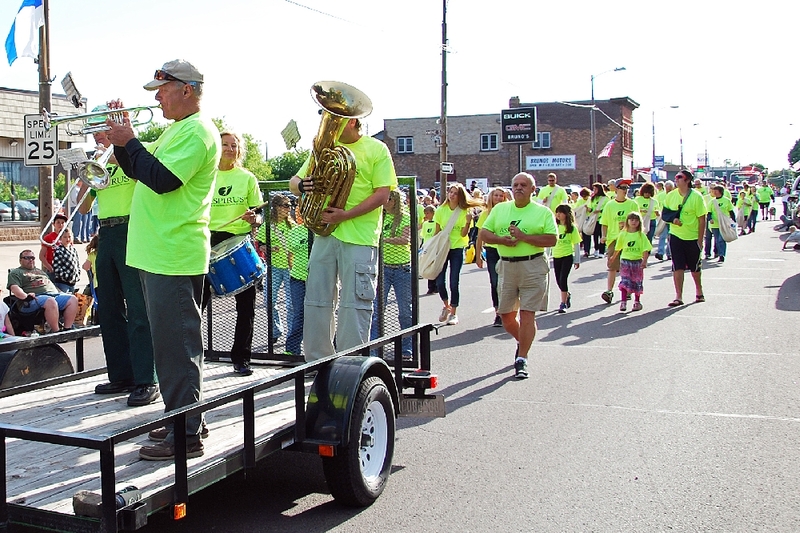 Bridgefest, as the name implies, celebrates the Portage Lake Lift Bridge (heaviest center span in the U.S.) connecting our two communities. 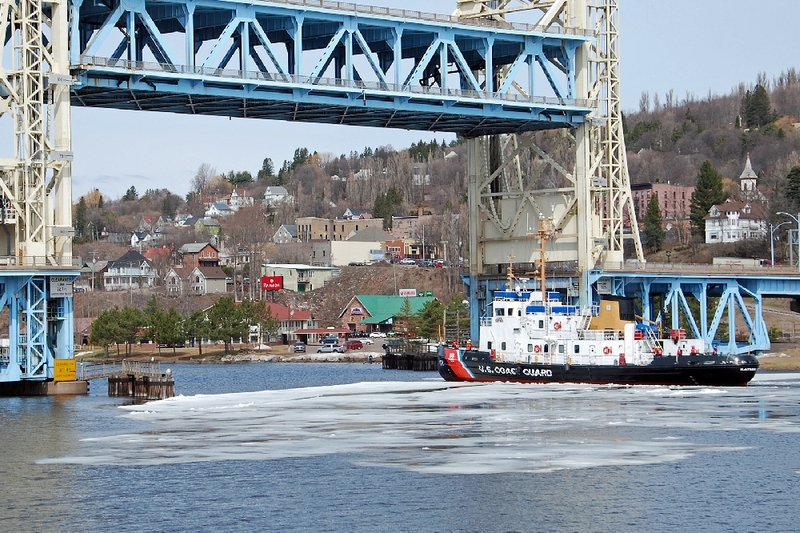 Our Bridge photo for this year, is of the Coast Guard Cutter Katmai Bay, which on May 6th, came through the Waterway to break the heavy ice that formed this past winter. 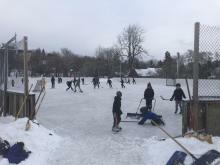 Ice was still floating in Lake Superior a month later. 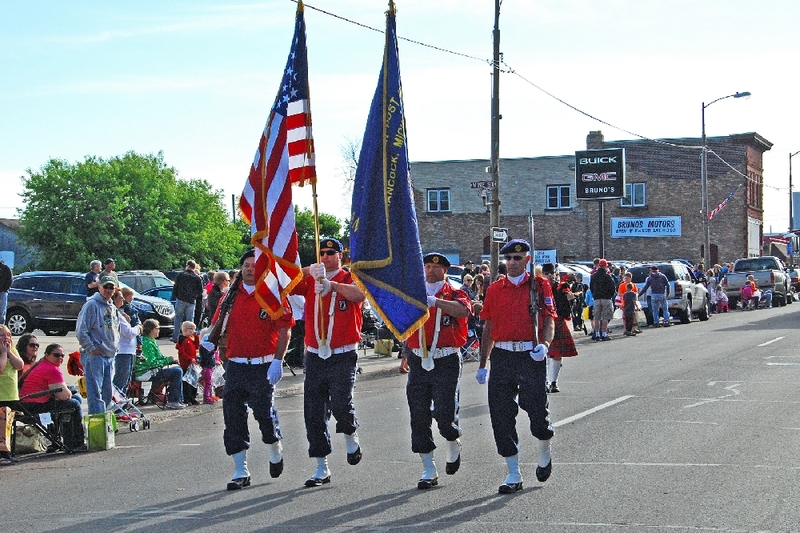 The American Legion, Hancock, Alfred Erickson Post 186 Color Guard, provides the Colors to officially start the Friday evening Parade. 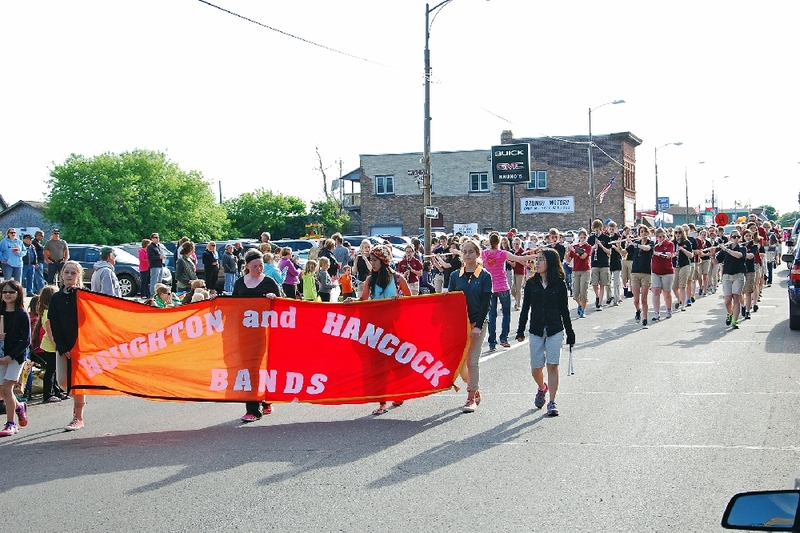 The combined Hancock and Houghton High School Marching Bands. 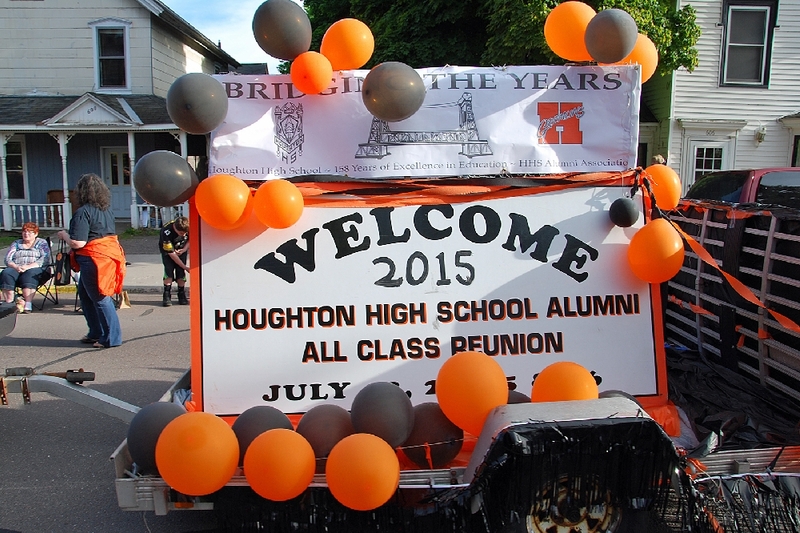 The next Houghton High All Class Reunion will be in 2015. 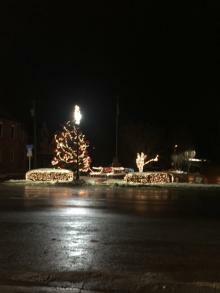 A replica of the Champion No. 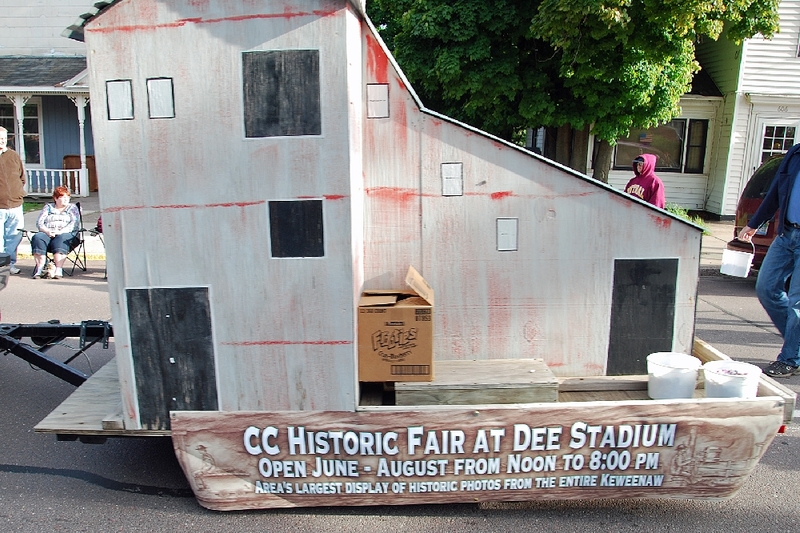 4 Mine, a part of the Copper Country Historic Fair going on through out the summer at Houghton’s Dee Stadium, on the waterfront. 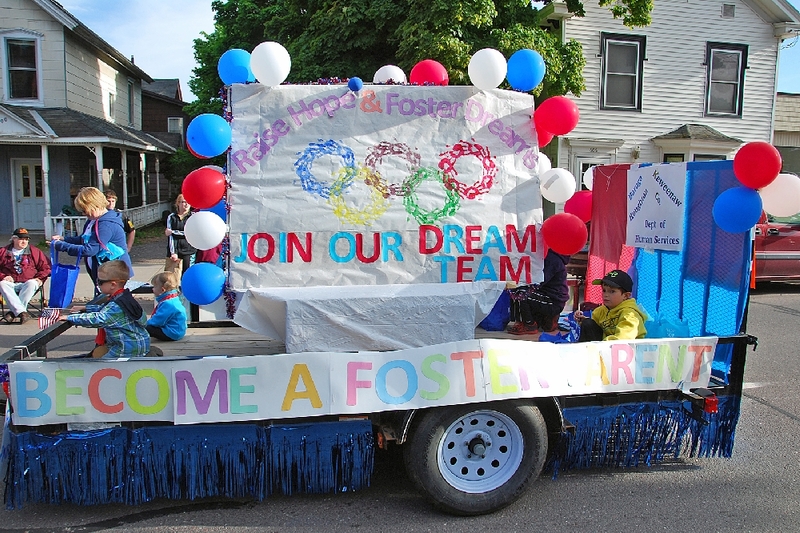 A float by the Keweenaw/Houghton/Baraga Counties Department of Human Services, promoting Foster Parenting. 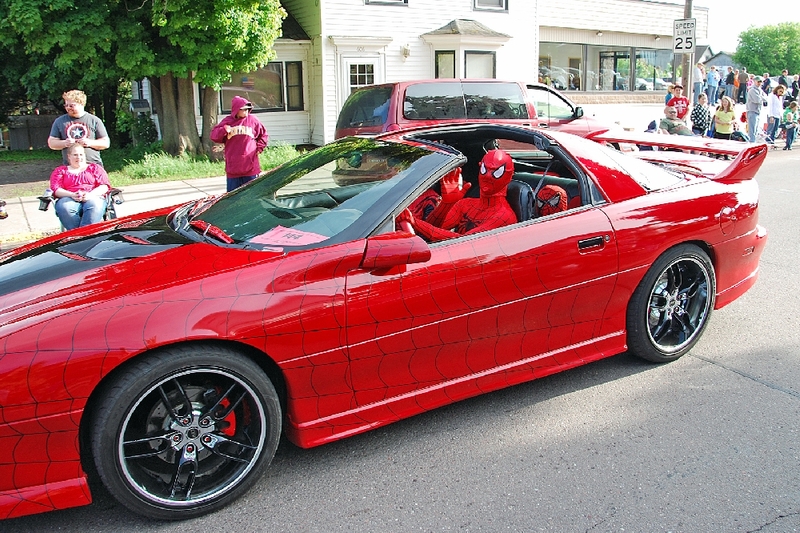 Spidey comes to Town, along with his family. 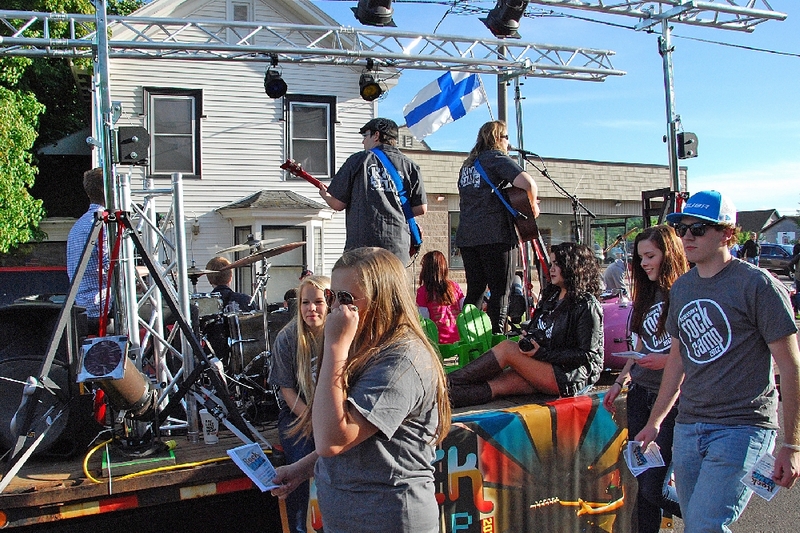 The Back Room Boys musical group leads the way for Aspirus Keweenaw contingent. 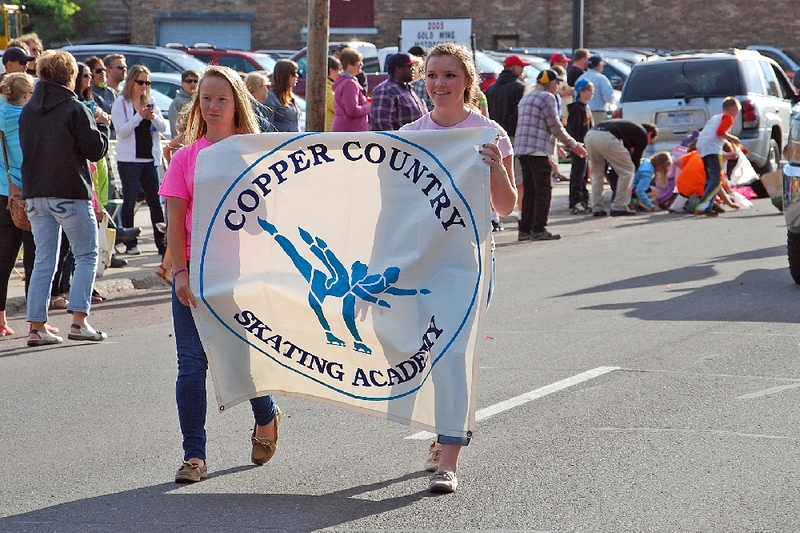 The Copper Country Skating Academy is represented. 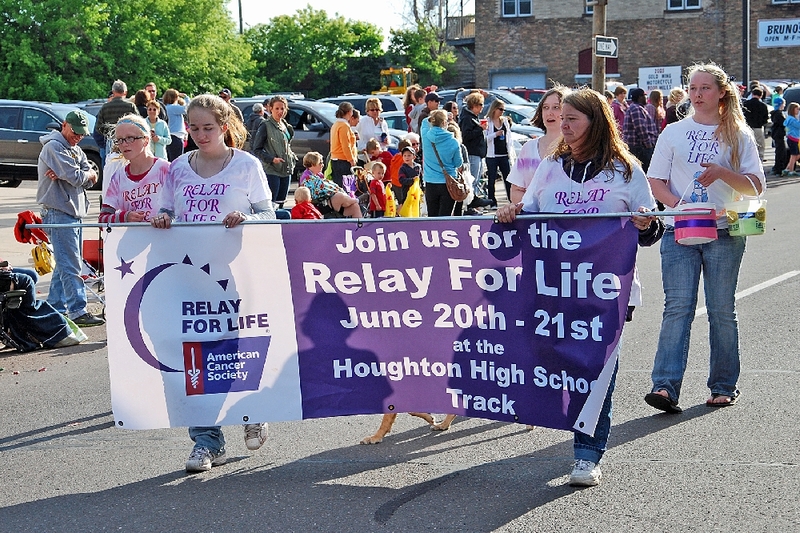 The Copper Country Relay For Life is always the third week in June at the Houghton High School track. 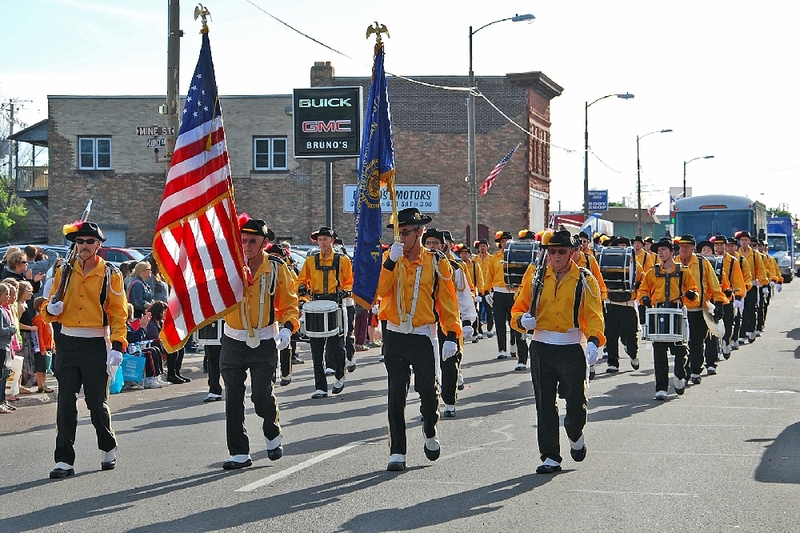 Marty’s Goldenaires from Bessemer. Celebrations sponsors these gals. 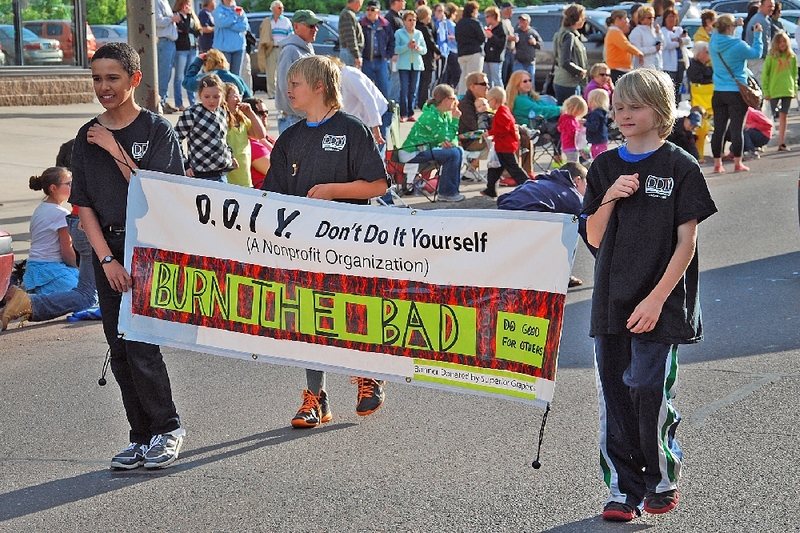 Don’t Do It Yourself, which is good advice if you lack the know-how and expertise for the job. 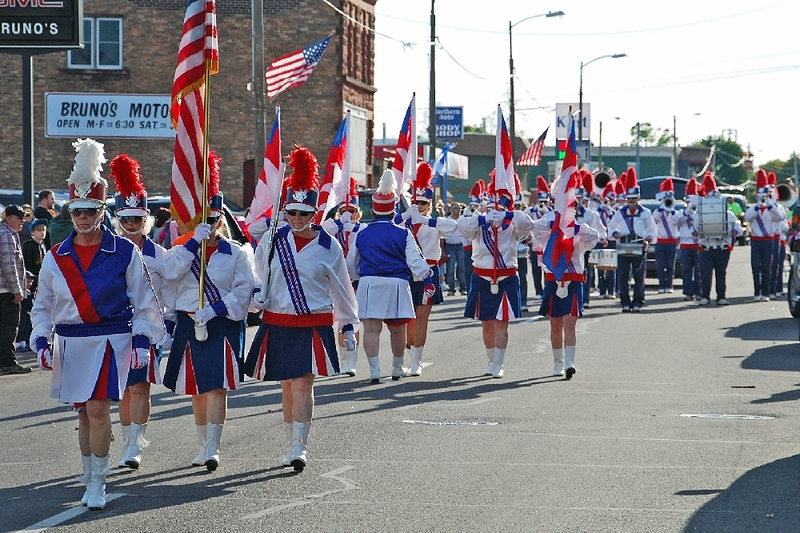 The Blue Notes Drum and Bugle Corps, from Ishpeming. Rock Camp-2014 Do not know what, or who, this strange bird is. 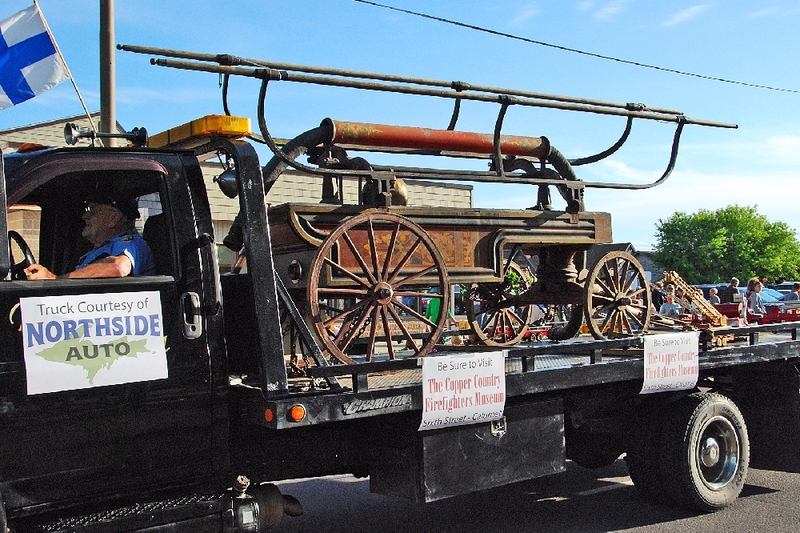 This antique fire fighting hand pumper, was the only way to fight a fire back in the 1800s. What a great old roadster, from the early 1900s The Michigan Tech Husky Mascot. 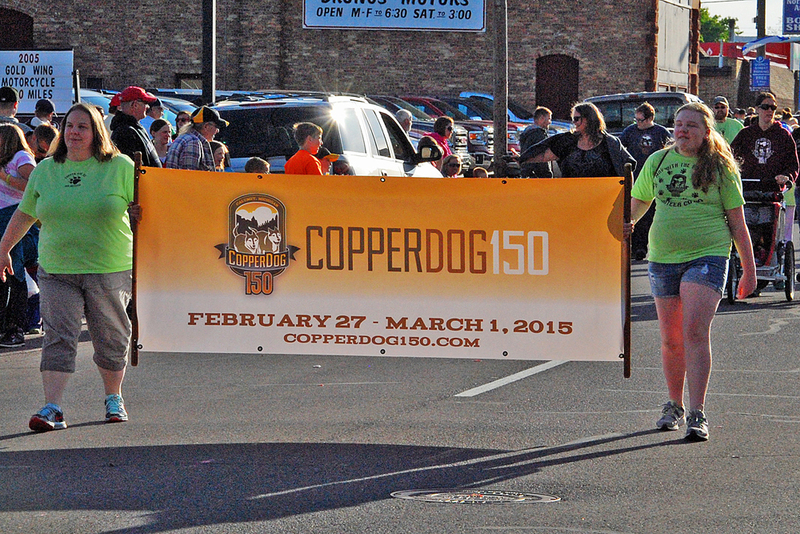 The Copper Dog 150, a premier dog sled event in the Midwest, takes place in the Keweenaw and closes out our Parade. 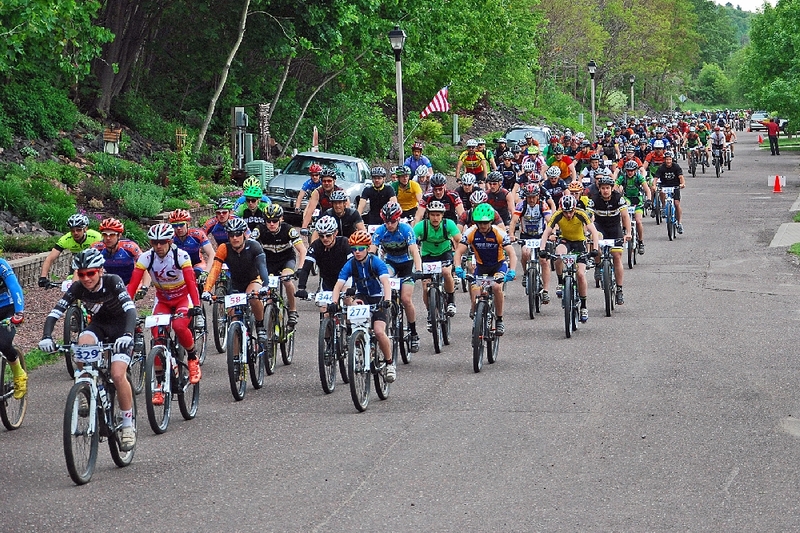 The Portage Health Chain Drive bike race is held on Saturday morning over the Maasto Hiihto Ski Trails, some 349 bikers run the rugged race. 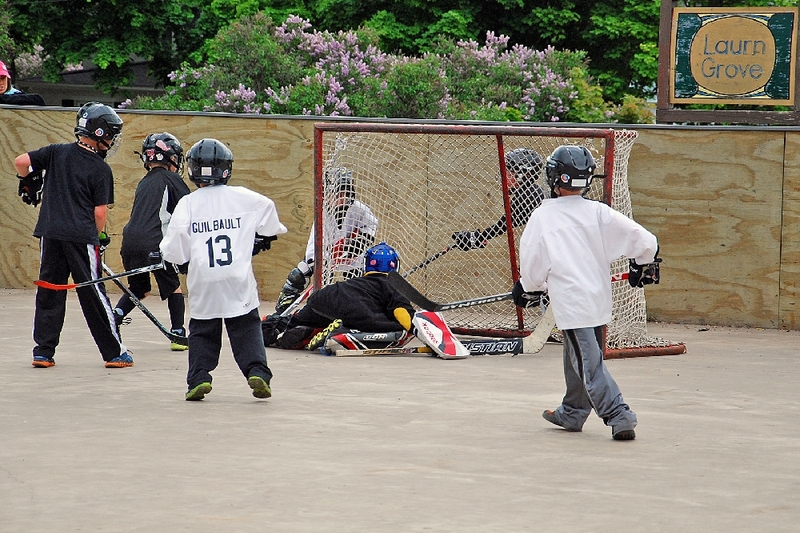 Something new this year, the First Annual Crossfit Hakkapeliitta, 3 on 3 Street Hockey Tournament, held at the Historic Laurn Grove Hockey Rink. 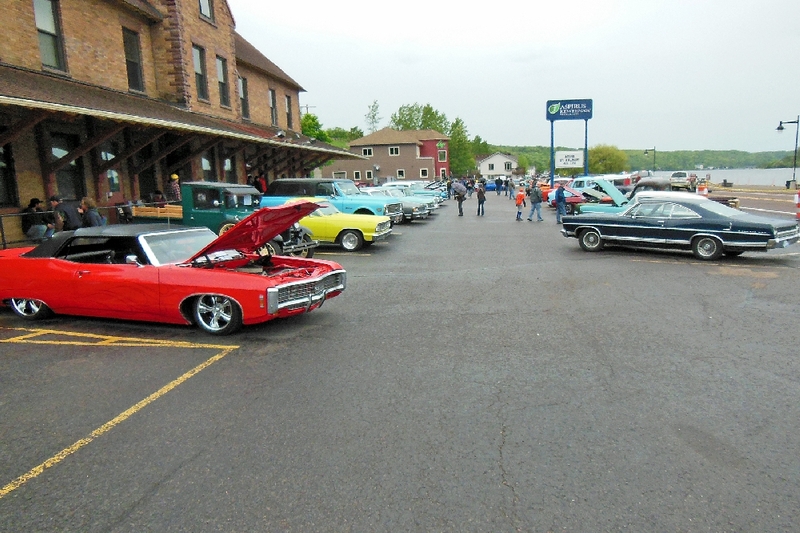 And the Annual Classic Car Show, with many Best in Show prizes up for the taking. 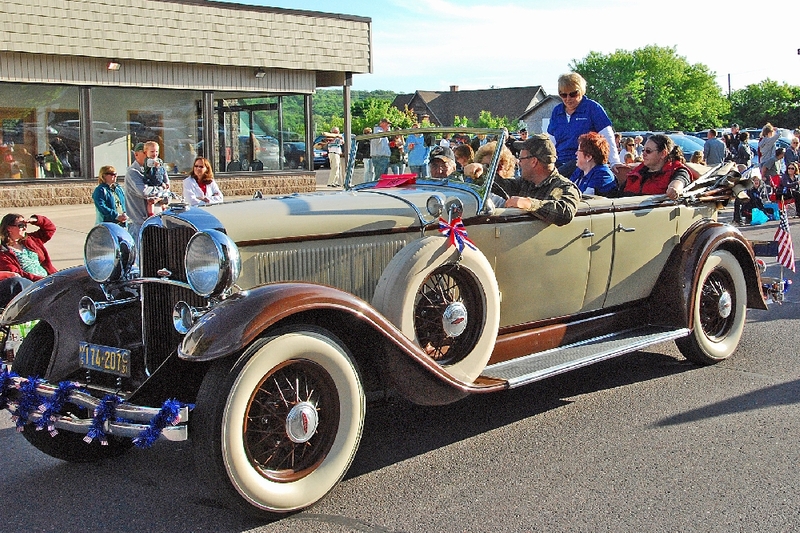 Join us next June for Father’s Day and Bridgefest and BridgeFeast. 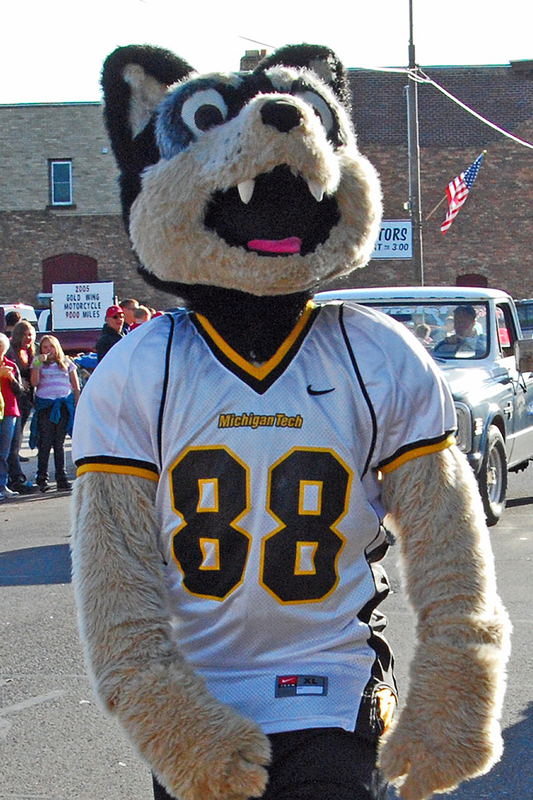 The Annual Yooper Sprint Tri and Duathalon is also held in Hancock as as a part of the Bridgefest activities. 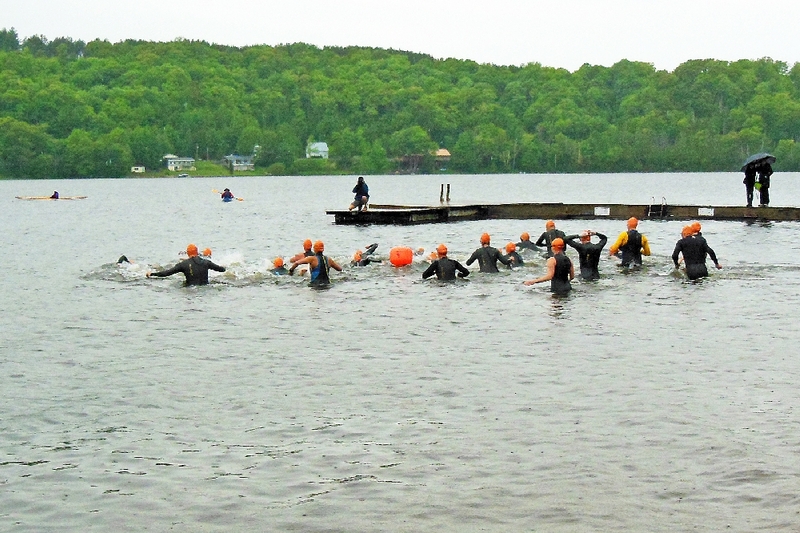 Here, the first leg, the swimming portion, as the wet suited contestants head out for a cold swim. 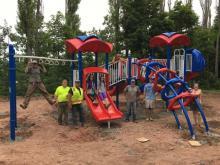 A biking, and running event will follow. 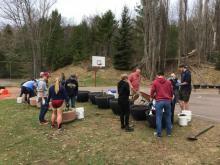 (See the link at the pictorial beginning for results).